DECLARATION OF INTERESTS: Caudwell LymeCo Charity and its employees have NO financial interests in any Lyme disease diagnostic test, treatment or other commercial services related to Lyme disease or any other medical condition. DISCLAIMER: The following information summarises and explains current policies on Lyme disease testing used by the NHS, in accordance with the NICE guideline (NG95). It is based on public domain information and is not an expression of the charity’s opinion on any aspect of diagnostic testing. Statements on this page do not constitute medical advice. You should always take the advice of a medical doctor with a licence to practise medicine. To order an NHS blood test for Lyme disease, your GP first needs to be convinced you have symptoms which could be Lyme disease. He or she will also ask if you have been bitten by a tick or have been to areas where a tick might have bitten you: this could add extra evidence of the possibility of Lyme disease. For many people, the tick is long gone by the time they notice any Lyme disease symptoms. Lyme disease symptoms can take a long time to appear. Symptoms take from 3 days to 3 months to develop after a bite. You can catch Lyme disease anywhere in Britain. Some people believe that there are “hotspots” or “Lyme endemic areas” in the UK and may think the risk of Lyme disease is extremely low outside these areas. In reality, there are no data to tell us which regions of the UK may have more ticks than others, or what percentage of the ticks in any area may carry Lyme disease. Ticks could be in any area with plants. It is sometimes claimed that ticks are only found in forests and overgrown countryside, but in fact they are also present in urban parks and gardens. Different types of a type of test called an ELISA test are used in different testing laboratories around the country. If you live in an area where demand for Lyme disease tests is high, there may be a local laboratory which your blood may be sent to for initial testing using an ELISA test (see below). It usually takes several weeks for Lyme disease antibodies to form, and if the ELISA test is done before they have formed, it will be negative. If a test is performed less than 4 weeks after symptoms start, and it is negative but the patient still has symptoms, the test should be repeated 4 to 6 weeks after the original test. If you live in an area where Lyme disease tests are rarely requested, your blood is more likely to be sent directly to one of the two national reference laboratories. The National Lyme Borreliosis Testing Laboratory (NLBTL) at Raigmore Hospital tests samples from Scotland. The national reference laboratories do a “two-step” test, first an ELISA test and then a western blot (or immunoblot) test. The NICE guideline for Lyme disease advises repeating one or both steps of this test under certain circumstances. You can ask your doctor for printouts of your test results. The flow chart below is part of the NICE guideline on Lyme disease, and sets out the decision-making process that doctors should use when assessing patients and ordering tests for Lyme disease. If I got a negative Lyme test LESS than 6 weeks after a tick bite, might I really have Lyme disease? Antibodies to Borrelia burgdorferi can take 6 weeks to develop and sometimes even longer. During the first six weeks after developing symptoms, a Lyme disease test could therefore be negative. If the first ELISA test was negative within this time frame but a person still has Lyme symptoms, the test should be repeated, as set out in the flow chart above. If I got a negative test MORE than 6 weeks after being infected, might I really have Lyme disease? It is possible, although less likely than in the scenario described above. There are different possible explanations why some symptomatic patients may test negative for Lyme disease using two-tier blood testing. The tests can sometimes be wrong. Research suggests that the tests for Lyme disease produce incorrect negative results for possibly 1 person in 5. For this reason, the NICE treatment guideline advises doctors that Lyme disease cannot be absolutely ruled out on the basis of a negative test result. Antibodies may not have formed yet. Some research has suggested that the antibody response to Lyme disease can be unpredictable and may take longer than 6 weeks to develop in some people, and also that the level of antibodies may fluctuate over periods of months. The immune system may be affected. Some researchers think that Lyme disease can suppress the immune system so much that the antibody levels in some patients may be too low to detect using these tests. There has also been a preliminary piece of research suggesting that inadequate treatment with antibiotics, very soon after being infected, may stop the body developing antibodies: this requires further reseach. Is there a more reliable test that I could have done privately? No, there is no type of test for Lyme disease currently proven to be more accurate than the tests used by the NHS. Some private laboratories do offer other types of tests which they claim are more reliable than the NHS tests, including modified western blot tests, ELISPOT, MELISA, and CPR tests that seek to detect the bacterial DNA. Although some of these types of test are used for other infections, there is currently no pulished research about how reliable they are when testing for Lyme disease. For some tests there are no published scientific papers describing how the laboratories actually do these tests or explaining how their results specifically relate to Lyme disease. See the question below, ‘Why won’t my NHS doctor prescribe me treatment based on my positive private Lyme disease test?’ for more information on this. I’ve been treated for Lyme disease. Can my doctor repeat the test to check if the bacteria have gone? The only way to evaluate whether the infection is cured is to consider the symptoms. Doctors are likely to focus on symptoms suggestive of infection and immune system stimulation, including swollen or painful glands, fevers, night sweats, headaches, muscle pains and so on. What is the Lyme disease ELISA test? ELISA stands for enzyme-linked immunosorbent assay. This test is performed on a plate with rows of small recesses, so lots of samples can be tested at once. ELISA tests can be used for detecting and quantifying substances such as peptides, proteins, antibodies and hormones, so ELISA tests are used to diagnose a great many different conditions. The Lyme disease ELISA test looks for antibodies to Borrelia burgdorferi. Other names, such as enzyme immunoassay (EIA), are also used to describe the same technology. Versions of the Lyme disease ELISA test are manufactured by various companies and the NHS/National Reference Laboratories use several of them. A large number of research papers report varying sensitivities for this test, based on evaluating different companies’ products. In general, they report a higher sensitivity than specificity (see below), because all versions of the test can give a false positive result for people who have some other conditions rather than Lyme disease. Some types of Lyme disease ELISA tests use “native antigens”, which means a mix, produced from actual Borrelia burgdorferi bacteria, of the parts of the outer surface which human antibodies recognise and attach to. There are various strains of Borrelia burgdorferi and not all of the antigens from all of them can be included in the ELISA test. They would number in the thousands, and many of them would be identical to the proteins from many other types of bacteria or other, harmless organisms. Borrelia burgdorferi also has an outer surface which mutates repeatedly. This means it is possible for a person to have Lyme disease, and to have antibodies to it, but not to have antibodies to the particular antigens included in a “native antigens” ELISA test kit. This would mean they would get a false (incorrect) negative test result. For this reason another type of ELISA test was developed, using a protein called C6. This is the only protein which is found in all strains of Borrelia burgdorferi, and which does not mutate. The test aims to have a higher sensitivity than the “native antigens” test. What is the Lyme disease western blot test? The western blot (sometimes called the protein immunoblot) is used to detect specific proteins in a sample of blood (or sometimes other types of sample). For a Lyme disease western blot, a blood sample is mixed with antigens of the Borrelia burgdorferi bacteria which causes Lyme disease. If there are antibodies in the person’s blood sample which fit these borrelia antigens, they will attach to them and can be detected by a machine which reads the test strip. What does the ‘sensitivity’ of a diagnostic test mean? The sensitivity measures how well the test can find out if a person has the condition being tested for. It is expressed as a percentage or as a decimal fraction of one. A sensitivity of 0.9 or 90% would be more reliable than a sensitivity of 0.6 or 60%. If a test has a sensitivity of 90%, it means 90% of people who have the relevant disease will get a positive result using that test. A test with low sensitivity runs the risk of ‘missing’ some patients, meaning they may not receive treatment for a disease they have. What does the ‘specificity’ of a diagnostic test mean? The specificity measures how well a test can find out if a person does NOT have the disease being tested for. So a test with a specificity of 0.8 or 80% is much more reliable than a test with a specificity of 0.3 or 30%. If a test has 80% specificity, it means that 80% of people who get a positive result in that test really do have the disease being tested for, but the remaining 20% of the people who get a positive result do not really have the disease. A test with low specificity runs the risk of giving people a false diagnosis for a disease they do not really have, meaning they might receive unnecessary treatment, and that they might not be tested or treated for a different disease that they really have. Why does the NHS require two tests for Lyme disease? Neither the Lyme disease ELISA nor the Lyme disease western blot is a perfect test. The ELISA test for Lyme disease sometimes gives incorrect positive results. It can react to antibodies other than Lyme disease antibodies, including glandular fever, syphilis and mould allergy antibodies. It can also sometimes give incorrect negative results. The Western blot has a higher specificity than the ELISA test, which means it is better at finding out which of the people with a positive ELISA test result may not really have Lyme disease. This system of performing both tests is called two-tier testing, and its aim is to achieve a more accurate result than using one test alone. Even the combined test is by no means perfect and for this reason, it is also very important for the doctor to take into account the person’s symptoms. Is it possible to have seronegative Lyme disease? In all infectious diseases, it is known that some people never produce antibodies even though they are infected. For the diseases in which this has been researched, it is believed to happen very rarely. It is not known how commonly this may happen in Lyme disease. If I pay for a private Lyme disease test, will my NHS doctor accept the result? No, NHS doctors are advised by NICE not to accept the results of private Lyme disease tests, especially tests carried out overseas. If you decide to spend money on private testing, be prepared to pay for private treatment as well. Why won’t my NHS doctor prescribe me treatment based on my positive private Lyme disease test? The NICE guideline for Lyme disease outlines criteria which exclude such tests. 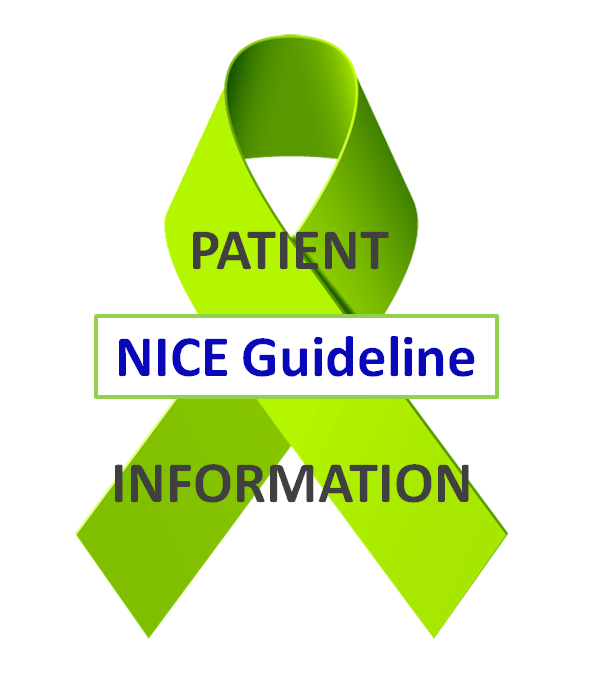 Section 1.2.22 of the NICE Guideline for Lyme disease specifies three criteria for a test to be acceptable to NHS doctors. The lab must be accredited by UKAS, the UK laboratory accreditation authority. This excludes all overseas laboratories. Different countries have different requirements for laboratory accreditation and some of them may not match up to the standards required by UKAS. Laboratories abroad may not issue their test results in correct English which a British doctor could be expected to understand. The lab must use validated tests. This means there must be published evidence about the test’s methodology, how the test relates to Lyme disease and independent reports of its performance. The phrase “methodology, how the test relates to Lyme disease” means that there must be published documentation describing how the test is done, how the results are interpreted to determine what is positive and what is negative, and how the test detects the presence of Lyme disease in the patient. “Independent reports of its performance” means that scientists, who have no financial gain from selling the test, have carried out research that measures the test’s sensitivity and specificity, which are the two measures of a test’s accuracy (see above). They must have written research papers describing their results, which have been peer-reviewed by an independent panel of scientists and doctors, and published in a respected scientific journal. The only tests for Lyme disease which are currently validated in this way are the ELISA and the Western blot. The laboratory must participate in a formal external quality assurance programme. These programmes consist of labs all testing the same blood samples to make sure they all get the same results. UK doctors know that NHS approved laboratories – either in regional hospitals or at the National Reference Laboratories – fulfil all the required criteria. Patients who have received a positive Lyme disease test result from a non-NHS laboratory can be re-tested on the NHS, and can be treated on the NHS if the result is positive. Do NHS doctors accept test results other than ELISA or western blot for Lyme disease? In general no, because other Lyme disease tests have not been researched or validated, and therefore are not accredited. There are some other types of test, which may be used by NHS doctors in addition to the two-tier tests, in specific circumstances. Some of these tests analyse body tissues other than blood, for example, fluid from the spine may be analysed using a test called a PCR which looks for DNA. It is our understanding that the NHS only relies on these other tests if they are carried out in NHS approved testing laboratories and if the ELISA and western blot have also been carried out. Do NHS doctors accept ELISA or western blot test results from private laboratories overseas or in the UK? Whilst some private laboratories are accredited and may offer validated ELISA or western blot tests, we do not know of any private laboratories which participate in an external validation scheme comparable to the one in which the UK National Reference Laboratories participate. For this reason, it is our understanding that currently tests from other laboratories are not accepted by NHS doctors. There is a laboratory in the USA called IgeneX which offers its own interpretation of a western blot test for Lyme disease. Although their test is a western blot, their way of defining which result is positive and which is negative has not been validated as described above. For this reason, NHS doctors to not treat patients on the basis of this test. What does laboratory accreditation mean? Most countries have a national authority which inspects medical laboratories, and issues an accreditation number and certificate if they comply with all the standards in a written protocol. The standards cover hygienic handling of samples to avoid contamination, building standards to ensure air hygiene, accurate keeping of patient and sample records to ensure the each person receives the right test result, and many other details necessary for a reliable and safe laboratory. The accreditation authority in Britain is called UKAS and the old British protocol was the CPA standard. Another, similar protocol called ISO 15189 has been adopted in more and more countries and is now regarded as the international standard. Laboratories in the UK are switching to this protocol. What does a CE marked test mean? The CE mark issued by the European Union is a self-certification mark that testifies the test kit is safe to sell and does not, for example, contain particularly dangerous substances or pathogens. It certifies, amongst other things, that the kit does contain the antigens, and have the other features, stated in its description/labelling. It does not certify the test kit’s diagnostic reliability or any of its performance criteria, and is not a certification that approves the test for clinical diagnosis of patients. What does a validated test mean? If a test is validated, this means that it has been evaluated by researchers independent of the manufacturersand of labortories which use the test commercially, and the results of their research have been published in a scientific paper. The test would be evaluated to measure its sensitivity and specificity (see above) using a large number of samples, and the research would also give precise details of the test’s methodology, and how it relates to Lyme disease and measures the presence of Lyme disease. Several private laboratories abroad offer private Lyme disease tests to the public which have not yet been researched in this way. Some diagnostic tests for Lyme disease may show great promise, and others may not. We will not know until more research is done. Raising money to fund research into different types of Lyme disease test is one of Caudwell LymeCo Charity’s key objecties. Find out how you can help. What does accredited test mean? When laboratories are accredited, each of the diagnostic tests they provide are also checked. If the tests are validated satisfactorily, they will be listed as accredited. If they are not validated in accordance with the required standard, they will be excluded from the accreditation. The accredited laboratory can continue to offer the test to its customers but the test will not be an accredited one. What is an external validation scheme? The aim of diagnostic tests is to produce the same result on every sample, every time, no matter which laboratory performs the test. Some laboratories collaborate to check if this is really the case, by performing the same tests on the same samples of blood and comparing results. The Rare and Imported Pathogen Laboratory (part of Public Health England) participates in a scheme of this kind with laboratories across Europe to validate the Lyme disease testing it provides to NHS doctors in England and Wales. Are all ELISA tests for Lyme disease ordered in England and Wales carried out by RIPL? In some areas where Lyme disease testing is more frequently ordered, there are NHS hospitals which can offer the Lyme disease ELISA test. If this is positive, the person’s blood is forwarded to RIPL where a new ELISA is performed, and also a western blot. In areas where Lyme disease is less often suspected, there may be no regional hospital so doctors may send a sample directly to RIPL. Is it true that the national reference laboratory (Rare and Imported Pathogens Laboratory) at Porton Down is not nationally accredited? This is not true. The National Reference Laboratory is UKAS accredited. Why won’t the staff at RIPL (Rare and Imported Pathogens Laboratory) discuss my Lyme test results with me? Put simply, RIPL can discuss your results with your doctor, but it is against regulations for them to discuss results with patients. Doctors who consult with patients are registered by the General Medical Council in the UK. It is a criminal offence for a doctor to practise medicine in the UK – which includes giving any advice to patients – if he/she is not registered with the GMC. Scientists who work in medical laboratories in the UK are required to hold a different type of authorisation to perform their tasks within the laboratory.